The weather’s warming, the days are longer, and with that extra hour of daylight there’s one word glowing on the horizon: camping. Ah, camping. Whether you’re a glamper who prefers the finer things in life, a family looking for a friendly campground, a camper seeking solitude and a tranquil getaway, an adventure-seeker out for thrills, or someone short on time yearning for a quick weekend away from urban-life craziness, Style has you completely covered! Well, not literally—you’ll still need to bring your own tent. American River Resort has creature comforts cornered. For a start, you’re in the heart of the great outdoors. And when we say “in,” we mean in your premium American River Resort cabin: living room, bedroom, bathroom, fully appointed kitchen, even Wi-Fi (! ), plus a river-view veranda. No foraging for nuts and berries, just fresh air and nature’s gifts…with a hot shower and a comfortable bed. They don’t have a butler service (yet), but if your idea of getting away means not depriving yourself of running water and flushing toilets, this is the campground for you. And if you ever have a change of heart about the whole roughing it thing, American River Resort has plenty of campsites (and RV hookups)! A former Gold Rush-era immigrant camp (hence the name), at first sight Camp Far West Lake might seem an unlikely hub for adventure seekers. But this quaint lake is a well-known, off-the-radar magnet for boating, waterskiing, jet skiing, wakeboarding, drag boating and fishing (for those who prefer their adrenaline in smaller doses). Just ask the locals. As well, there are 29 miles of shoreline, boat ramps and plenty of open-area camping. The North Shore (Wheatland) is open year-round, and the South Shore (Lincoln) is open from mid-May through September. Spring is the most attractive time of year to visit Camp Far West Lake, when the grass is green and the oak trees are in full spread. Summer of course is the most popular time, and come June the lake will be home to the Wake Surf Open, a weekend-long wakeboard extravaganza. Whenever you visit, whatever thrills you seek, do us a favor and bring your safety gear! In warm weather, crowds are often a mainstay of any popular campground. If you’re inclined to get away from it all, and by “it” you mean people, and by “all” you mean every last human, then a more serene, isolated campground might be more your style. 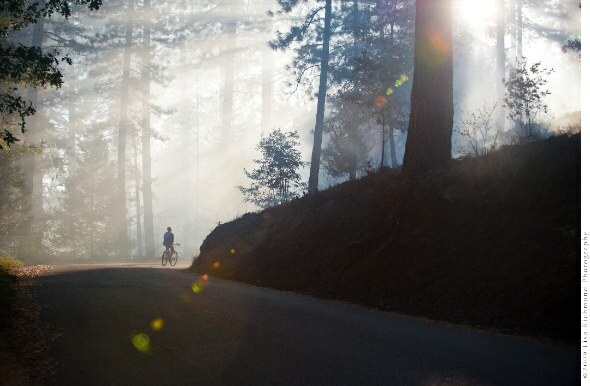 Those in search of serenity will find it at Bear River Park and Campground just outside Colfax. With 23 family and two group campsites, you won’t have to fight any kind of crowd; each campsite sits right alongside the river, so Mother Nature herself is your friendly neighbor. Imagine waking to the gentle sounds of the river, and sipping a cup of coffee in the morning sun. Sold, right? Bring along a flotation device and head up the river a mile or so for a leisurely float downstream, or go exploring among the trails. 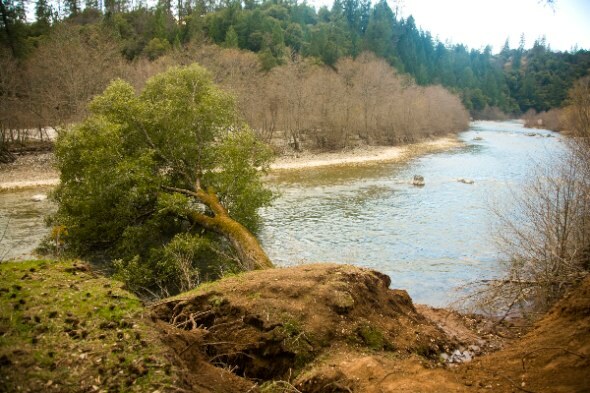 Bear River’s wealth of nature’s gifts will allow you to live deliberately and satisfy your inner Thoreau. Boasting 500,000 visitors annually, and featuring eight campgrounds—from close to the water to woodsy and secluded sites—plus numerous trails for hiking, mountain biking, or even equestrian trails for the “horsey family,” Sly Park couldn’t be more family-friendly if it tried. Let’s talk location. 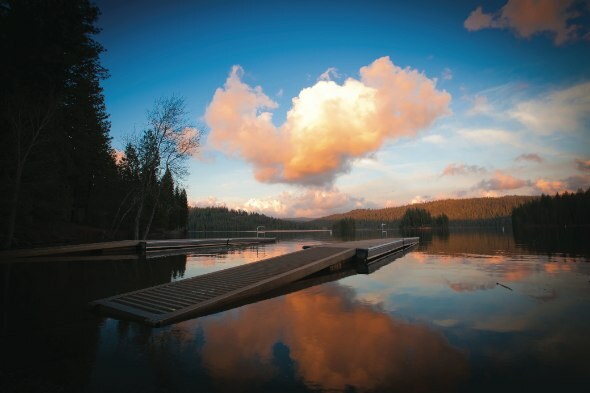 You and your family will be camping by the crystal clear Jenkinson Lake, big enough for boating and/or fishing, yet perfect for swimming or just relaxing. Jenkinson Lake is actually a reservoir, which means plenty of calm water to entice even the most water-shy little ones. Surrounded by towering pines and wildlife, you’ll feel like you’re a million miles from civilization. With so much to do, and so much beautiful scenery to enjoy, the only downside of bringing your family here is they won’t want to leave! Say “camping” and people usually envision a lot of travel, which is fine if you’re determined to get away from it all for an extended period of time. But for the weekend, sometimes the getaway you’re seeking is right in your own backyard. 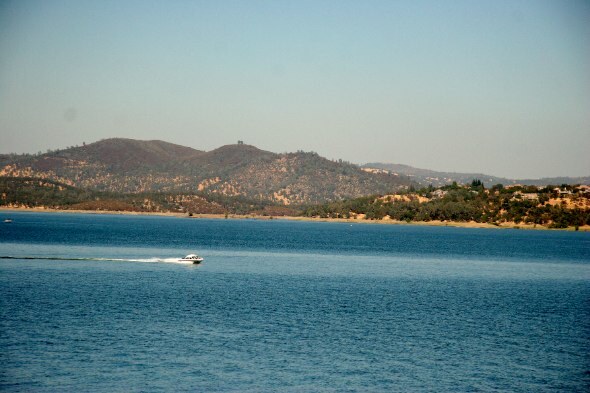 For Folsomites and Roseville-dwellers especially, Folsom Lake is the perfect quick getaway for close-by camping. Beal’s Point Campground, part of Folsom Lake State Recreation Area, can get pretty crowded in the summertime, but it’s a great spot for a short getaway on those warm spring weekends too. Swim, fish, hike, or head around to the marina and enjoy boating on the lake; there’s plenty of activities to take advantage of. Bring your bikes or jogging shoes and trek the American River Bike Trail that starts at Beal’s Point—it can take you all the way into downtown Sacramento if you’re so inclined.